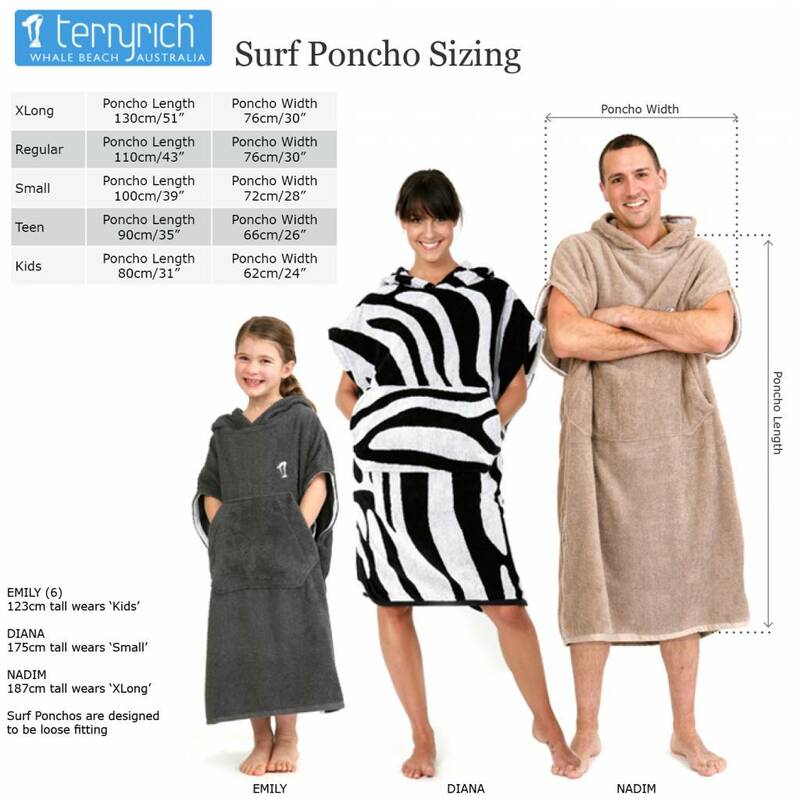 Surf poncho & changing robe by Terry Rich Australia. 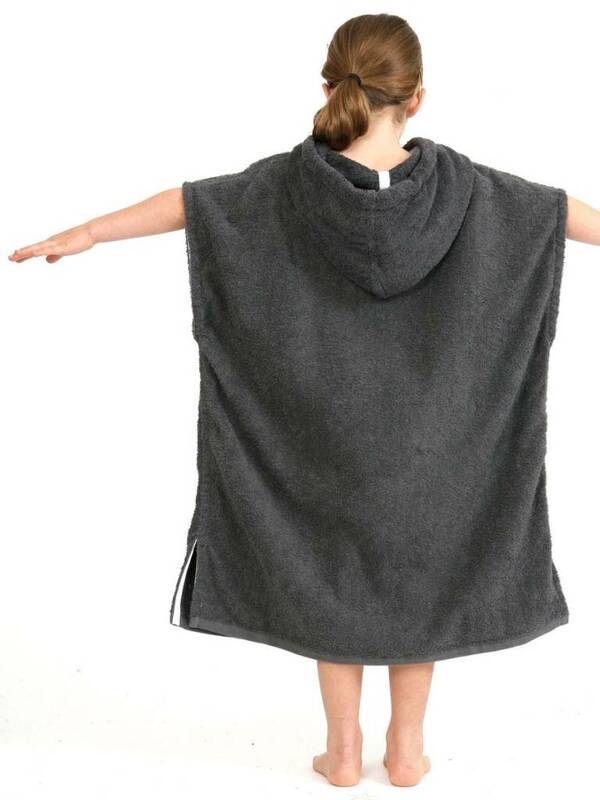 This poncho allows you to cover-up discretely when changing in public. No need for stumbling behind cars & trees. 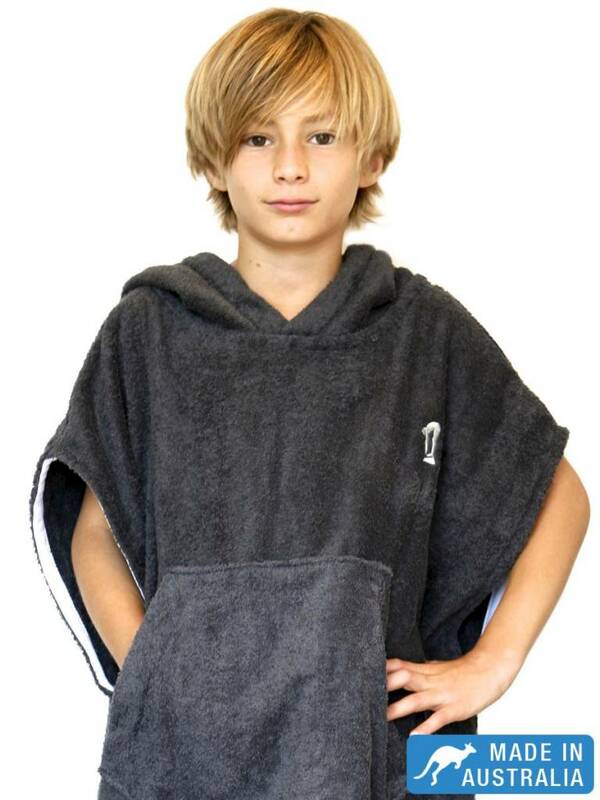 The Surf Poncho fit is deliberately loose allowing room to move with ample fabric to dry arms, legs & face. 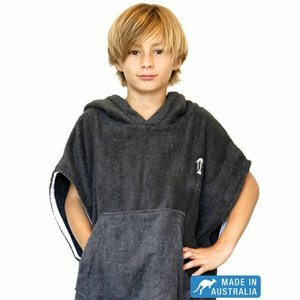 This poncho is not only perfect for car park changing but these towelling ponchos keep that icy cold wind off you after a swim or surf as well as keeping the sun off precious skin. 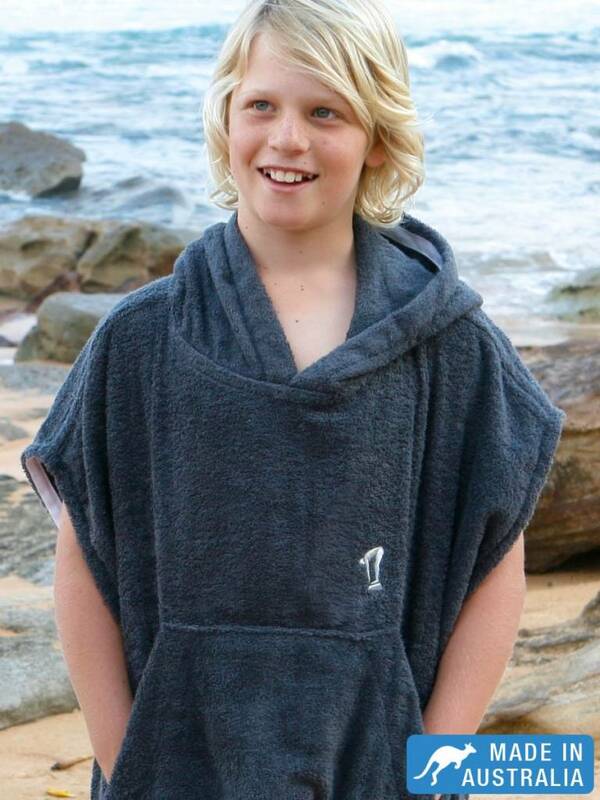 Plus they are expertly cut & styled to look fantastic on. 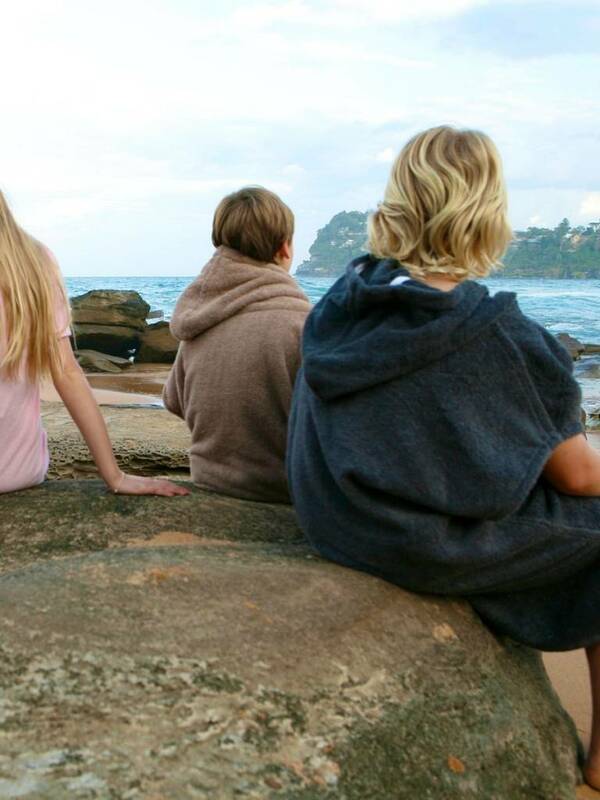 No need to hide away in this surf poncho. 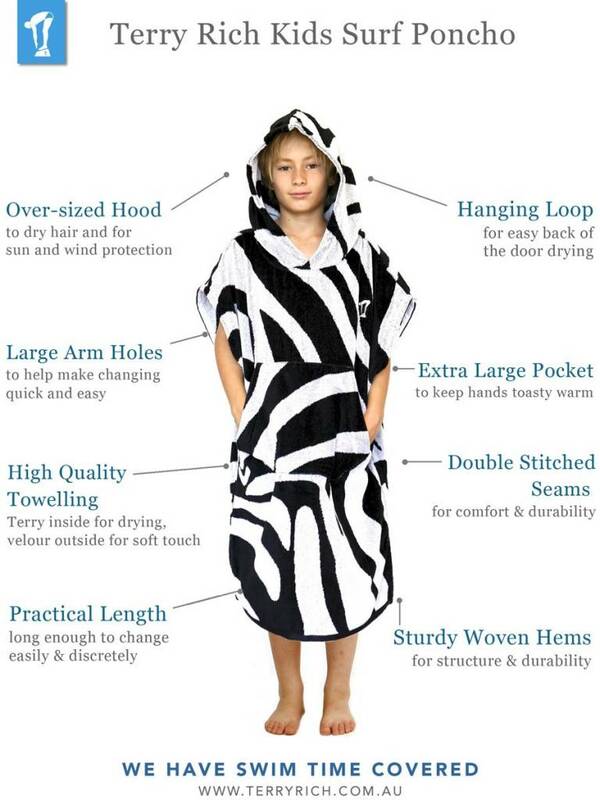 It is smart & stylish.